Tips for Cleaning Lingual Braces Are lingual braces for you? You might be surprised to see one of your second grader’s friends with a dental appliance. Isn’t orthodontic work just for teenagers? And, if not, should your seven-year-old be sporting braces right now? The answer to both of those questions is “Not necessarily.” Two-phase treatment is a process designed to correct issues that arise during different times in your child’s life. We recommend that every child have an orthodontic evaluation around the age of seven to determine if there is a problem that would benefit from early treatment. First phase orthodontics is not the same as orthodontics for older patients. The focus here is on the developing bone and muscle structures which form your child’s bite and provide space for the permanent teeth when they arrive. There are some clear-cut orthodontic goals that are much easier to attain when children’s bones are still growing. If your child’s mouth is small, the permanent teeth will have little room to fit in when they arrive. We may recommend gently enlarging the upper dental arch with the use of a palatal expander. This device will provide room for the adult teeth, and could potentially shorten second phase treatment time. Sometimes the extractions necessary to create more room for permanent teeth in later years can be avoided, as well as the possibility of an impacted tooth—one which doesn’t erupt because it is blocked by other teeth. Bones and muscles do not always develop properly, leading to problems with jaw and facial structure. 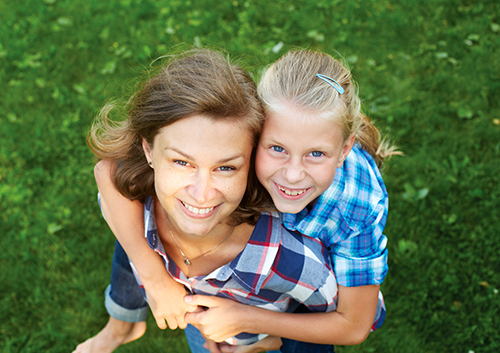 Your younger child still has growing bones, so this is a great time to gently re-form the jaw into a healthy shape. Problems caused by crossbites, underbites, open bites, and other malocclusions can be reduced with early treatment. If your child has protruding front teeth, these teeth are more likely to be damaged in falls, at play, or while participating in sports. We can gently reposition them. Second phase treatment is designed for your older child. After a resting period, when the permanent teeth finish erupting, we should see your child to evaluate any further orthodontic needs. This is the time to finish the process of straightening the teeth and making sure that each tooth fits together properly for a comfortable and healthy bite. This phase usually makes use of braces or aligners, and can take approximately 12-24 months. Two-phase treatment is not necessary for every child. But there are some unique reasons that early orthodontics might be recommended for your child, even if it’s clear that more orthodontic work will be needed later. Make an appointment with Dr. Betsy Meade at our Ypsilanti, MI office, and let’s evaluate your child’s orthodontic needs, whether now or in the future, for a lifetime of beautiful smiles.